The Small Employer of the Year Award recognises a small enterprise which has achieved excellence in the provision of 'nationally recognised training' to its employees. Nationally recognised training’ refers to training that is based on a national training package or accredited course which results in a person receiving a formal qualification or Statement of Attainment issued by a Registered Training Organisation. This includes Australian Apprenticeships. employ 19 or fewer full-time equivalent employees. a Host Employer who partners with a Group Training Organisation. 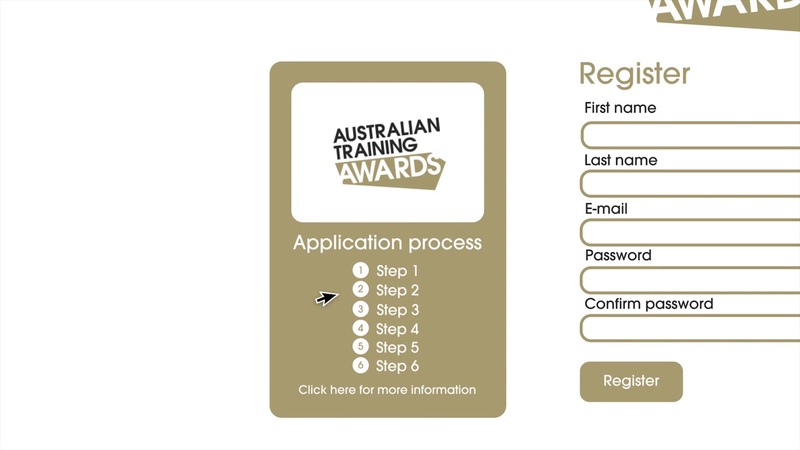 organisations whose core business is the delivery of vocational education and training (these organisations may consider nominating for either the Large or Small Training Provider of the Year Award). This awards category requires the applicant to address the following award criteria. briefly tell the story of an innovative training approach you are using (e.g. mentoring, e-learning, collaborative learning). * Your training organisation could assist you with this criterion. briefly tell the story of an employee who has benefited the most from training. briefly tell the story of how your business has grown as a result of training. Applicants from NSW and WA should APPLY HERE.